Bacteria & Food: Is 5-second rule mankind’s undoing? After reading this article, Scientists Study What to Do If You Drop a Cookie on the Floor, I began to think about mankind’s dilemma of “eat it or not eat it” after dropping prized, delectable morsels. After reading this article, Scientists Study What to Do If You Drop a Cookie on the Floor, I began to think about mankind’s dilemma of “to eat or not to eat” after gravity takes hold of a prized, delectable morsel. We’re surrounded by germs. It’s just a fact of life. They live in our bed sheets. In our carpets. Our clothes. Our pets’ fur. Even on our skin (bet you can’t wait to go home and take a shower now, huh?). Anything warm and wet like a human body is a perfect breeding ground and Petrie dish for spreading germs and bacteria. So why has the “five-second rule” been such a long-contested, shamed theory in eating habits? Animals eat off of the ground all of their lives, and they’re doing pretty good. While yes, I admit that the many classes I’ve taken toting the dangers of bacterial growth in large scale cooking have a point, in my experience cooking for one or even two rarely results in food poisoning. In the end, I guess I have never been much of a germ-a-phobe when it came to cooking for myself, either. We all know our environments. Are we more apt to pick up food that fell on our own floors than we would in a strange place such as a restaurant or out on a sidewalk? Most likely. Because we know how well or how often we clean floors, and what might actually come in contact with our own floors or other surfaces. We feel comfortable with that. Those other places, not so much. We’re most likely, then, to be at less risk in our own homes than anywhere else should we apply the five-second rule when no one’s looking. Unless you live in my house where you know that no matter how often you sweep or vacuum, hair off one of my three cats will be waiting in that exact spot and stick to fallen food better than breadcrumbs. It’s my cross to bear. Bacteria needs water, warmth, and time to grow. If food has been sitting out for three or four hours on a summer day open to all sorts of elements, that’s just asking for trouble. But the amount that might possibly be on the floor I doubt is significant enough to worry about in the time frame it takes to go through our digestive system. I feel that’s true especially if we have a healthy immune system and gut to knock it out. Which begs the question: How healthy or stressed is your gut and immune system? Is your body prepared to fight off even the smallest amount of bacteria? The risk in developing bacterial infections may be a little higher for children and the elderly for natural physical reasons. But for many adults, we should be plenty able to handle the germs in our environment. After all, evolution has created every possible line of defense to protect us against such things, from skin to our mucous membranes, to the hydrochloric acid in our stomachs. But modern American lifestyles may be compromising and suppressing many of our defenses. And that can put us at a bigger risk. So, how healthy do you feel? Willing to chance eating that fallen meatball? To learn more information on gut health or stressed and suppressed immune function, and how to manage your lifestyle and dietary habits efficiently and effectively to maintain optimum wellness, contact me for a consultation. 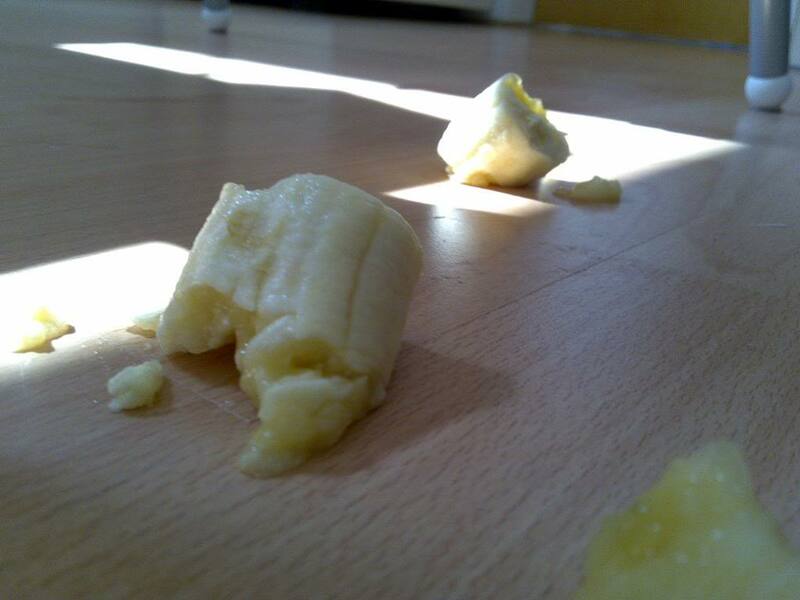 The “five-second rule” should not be one of the biggest contenders in disrupting your health.